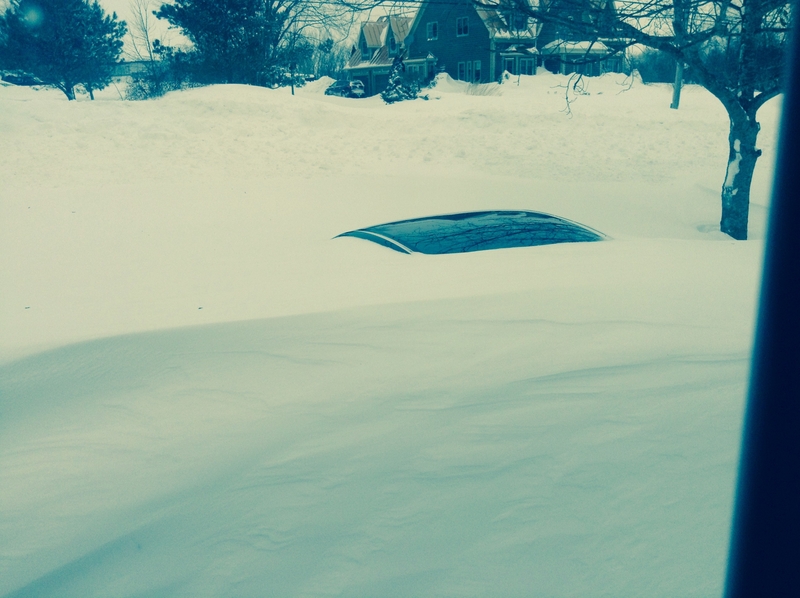 Yep – there’s a car under there. MY CAR! We had a major blizzard here in Nova Scotia (and other parts of the Maritimes) last weekend. Obviously I was snowed in for a few days which means I had to cancel my classes and miss the gym. So, on top of the crazy home workouts I did, I got to shovel a whole lot of snow. Like, a whole lot. A.TON! Fortunately, the majority of the snow in the photo above was cleared by a plow but, as you can see, my car was almost completely buried and digging my way to clear a path to get to the car was a feat in its own. I felt totally accomplished by the end.